Darlings, let me be the first to wish you a very feliz World Sauvignon Blanc Day. And it’s such a happy occasion that I’m hittin’ the road for a little R&R in beautiful Palm Springs, California. Which is why I’m re-blogging last year’s Sauvignon Blanc Day post. I think you’ll enjoy it, and the information is still relevant today. Cheers and enjoy! That’s right, chicas y chicos, another wine holiday! Can I get a salud? 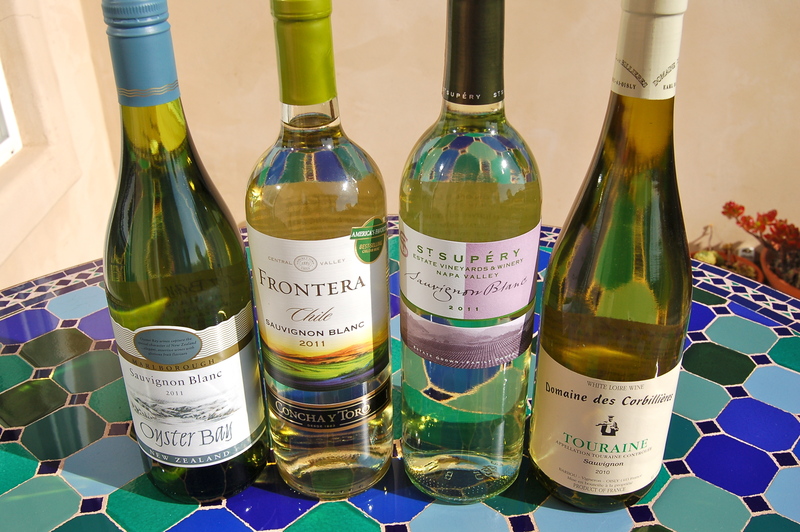 Today is World Sauvignon Blanc Day, and to commemorate this auspicious occasion, I’ll be tasting four different Sauvignon Blancs from all corners of the world: Chile, New Zealand, France and California. Sauvignon Blanc has a special place in my heart because it’s the first wine my husband and I discovered together when we were dating. If you join the celebration today, you’ll see why it’s so easy to love. Who knows, you may even channel your inner Señorita Vino and find true romance over a glass. (El Disclaimer: Señorita Vino makes no guarantees that you will find your soulmate today. So don’t quit the Match.com membership just yet). There’s a Sauvignon Blanc for almost every palate. If you’re a passionfruit and nectarine kind of chica (or chico), try a Sauv Blanc from New Zealand’s Marlborough region. 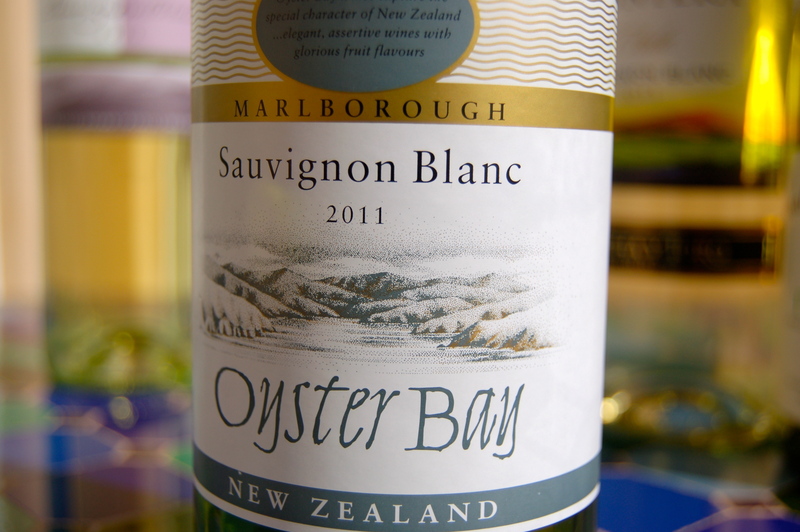 Oyster Bay is one of my personal favorites; you can find it for around $10 at a wine shop or grocery store. 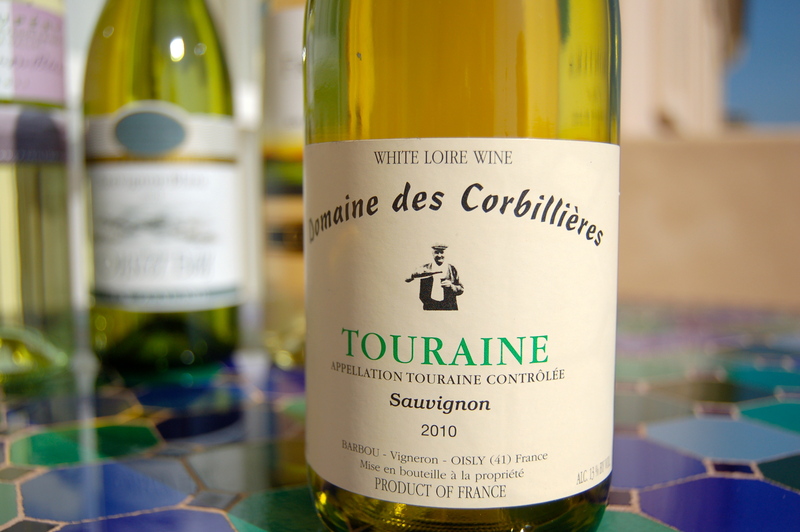 If you like mineral notes with olive and lemon aromas, France’s Loire Valley produces Savignon Blanc in the classic style. I found this one at Total Wine for $13.99. 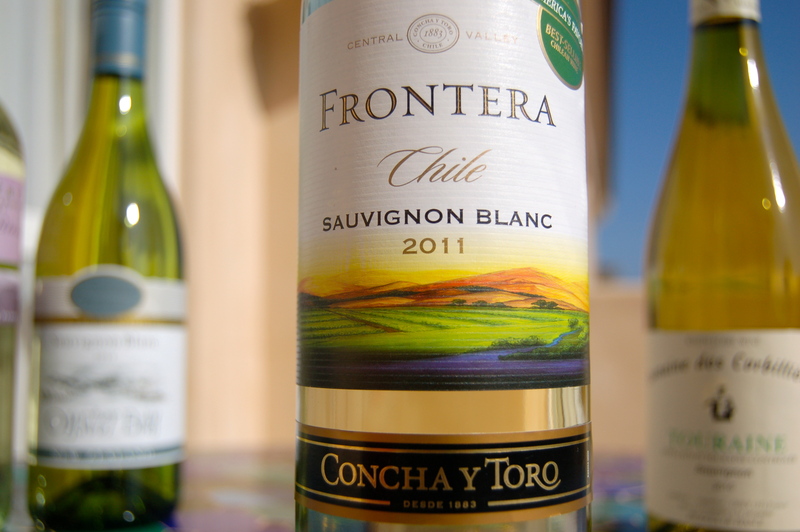 Last but certainly not least, if you’re looking for a lighter-bodied wine (less alcohol) that you can sip casually on its own, you may want to show your amor for one of our own by trying a Chilean Sauvignon Blanc. A complete steal at $5.99. You’ll hear people describe Sauvignon Blanc as having some characteristics beyond the aromas and flavors mentioned above. Bear in mind that the country in which the wine was made will have a big influence on what flavors you’ll detect. Some people can smell guava, cilantro, fig, bell pepper, lemongrass and dill. If you’re drinking a Sauvignon Blanc that was aged in oak, you’ll notice some aromas that are associated with wood, such as vanilla and sweet spices. 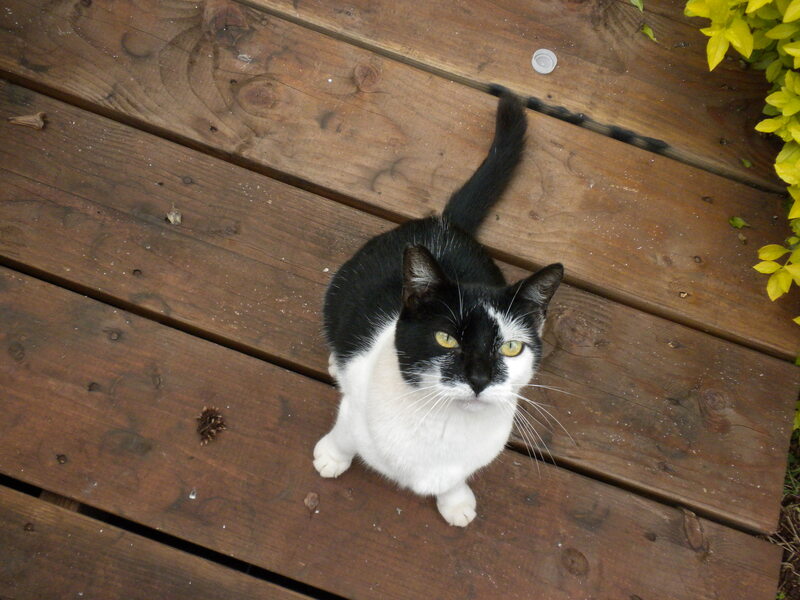 One scent that you may also detect is kitty pee. Yep, you read it right, and no, I don’t make this stuff up. Sounds weird, I know, but I have actually smelled this in some Sauvignon Blancs, and it’s not a flaw (nor did they let the cats loose in the winery); it’s just a characteristic of the grape. On that note, let’s talk food pairing. 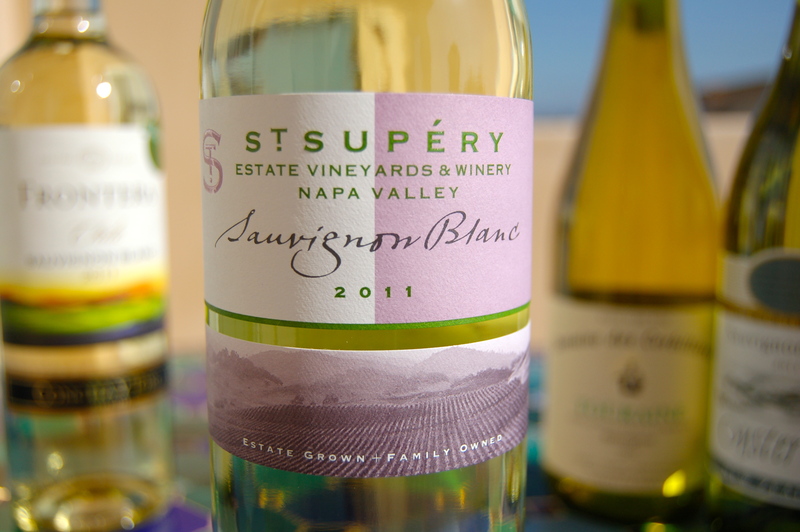 The crisp acidity of Sauvignon Blanc can act as a palate cleanser, making it a perfect starter. That same acidity makes it a good match for salads with vinaigrette dressings, and it ‘cuts’ through foods with cream or butter-based sauces. It’s also a great match for ethnic foods with a little kick, like Thai or Indian dishes. The wine’s lower alcohol content feels refreshing after the burn from spicy-hot seasonings. And it goes great with guacamole. Sauvignon Blanc complements just about every cheese I love. For you purists, the classic pairing is Sauvignon Blanc with a French chèvre, or goat cheese. The acidity in the wine matches the tang in cheeses made with goats’ milk. So there you have it. 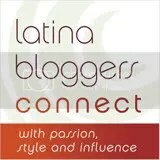 Stop reading, go pour yourself a glass of Sauvignon Blanc and join the fiesta. ¡Salud!